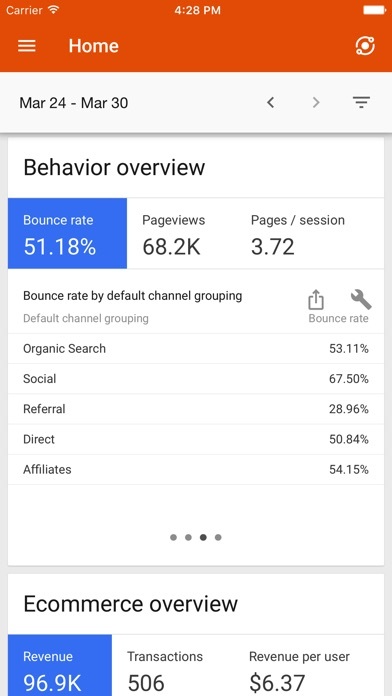 The official Google Analytics mobile app helps you monitor your business on the go. With this app, you can: 1) Check key metrics in built-in reports 2) Compare date ranges and apply segments 3) Monitor real-time data 4) Explore in order to build your own reports with any combination of metrics, dimensions and segments that you care about 5) Save any reports to your dashboard so that you can easily come back to them Optional Permissions Notice - Photos: Needed if user desires to save reports in Photos - Microphone: Needed for voice commands * You can opt out of optional permission requests and still use the app. Really helps narrow it down! Super easy to use and resourceful tool. 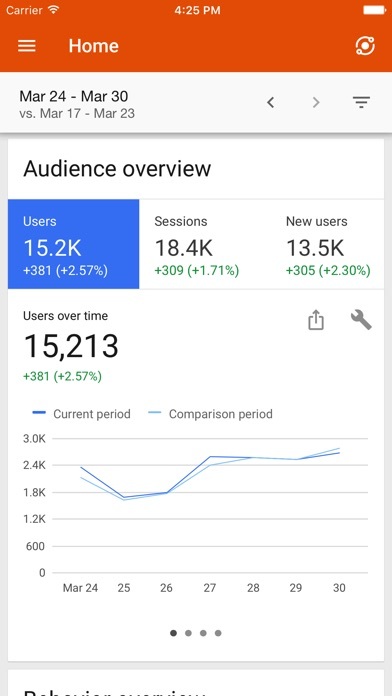 If you’re looking to see what’s happening on your website in REAL time and other pieces of your algorithm that you feel isn’t doing well, this app will give you the insight for making the necessary changes for you to win ! Well done! Get app for tracking web site activity on the fly. Love seeing real-time user behavior. Excellent app for Analytics. Love the features. Effective - especially on the war with online parasites - up to date mobile info is great for very specific targeting and treatment! I use this app everyday and love it! Would be even better if we could see the integration with search console like in web. Love this app. 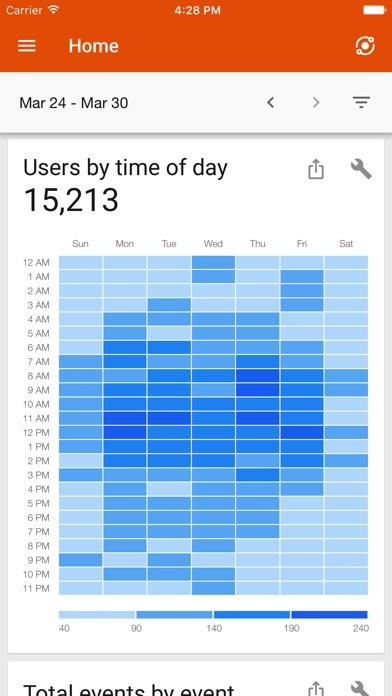 Helps me see what’s going on everyday and lets me see insights I didn’t know I had. 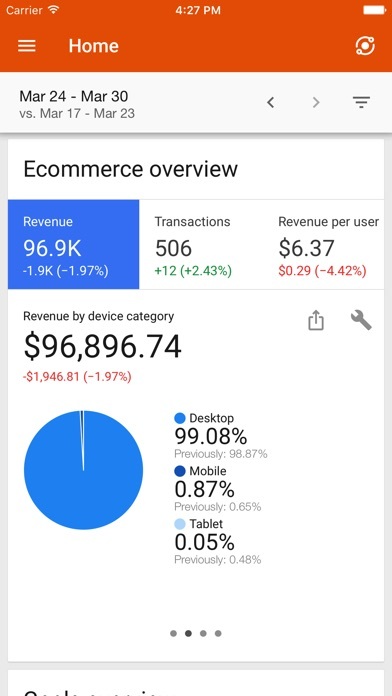 I like being able to check our analytics easily throughout the day. 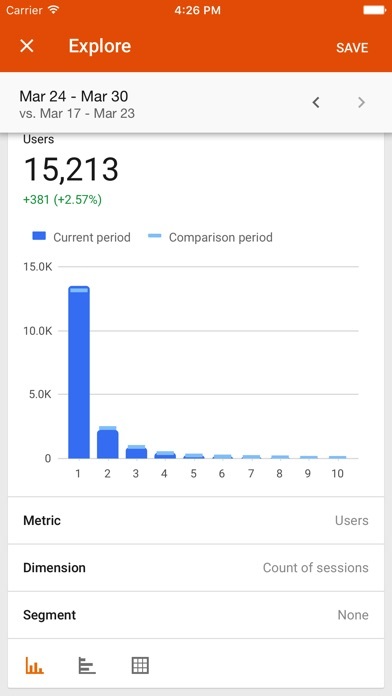 We change our direction some days based on these numbers, and it’s great to be able to do that easily. I like it better than viewing the analytics on my laptop!